When people talk about the Second Amendment, they often ignore a key phrase. The Constitution clearly establishes "well regulated" militia membership as a quid pro quo for keeping and bearing arms. I’ve seen what bearing arms looks like when it’s regulated. In July 1971, as a bone spur-free volunteer, I arrived in the Republic of Vietnam. 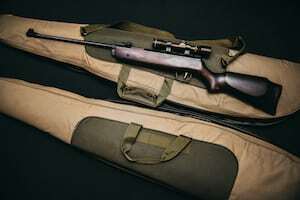 Thanks to the NRA Junior Marksmanship program and the Alabama Civil Air Patrol Wing, in my teens I had received training in .22 cal rim-fire rifles, and the .30 cal US M-1 carbine. This resulted in my qualifications as a Sharpshooter and/or Expert using the Army issued M-16 and M-14. Three of the four classes of weapons mentioned are now referred to daily as "Assault Rifles". But I was trained, and my use of the weapons was regulated. The vast majority of today’s emotional debate concerning the Second Amendment consistently misses the significance of the second and third words. The militias, formed as early as 1636, seldom stored and/or issued firearms. The members brought their privately owned firearms. Eventually, by the 1700's, this became a bonus for the Colonial Militia Commanders. The issued weapons of the British Empire were frequently smooth bore muskets barely accurate to 50 meters. The colonists frequently arrived with their Pennsylvania and Kentucky rifles with proven accuracy to as far as 200 meters. Even today, our exceptionally well-trained military combat forces benefit from the fact many of their members were firearms owners, some as early as their preteens. Again, remember the key words "well-regulated". These militias looked after their members and their capabilities closely. It’s hard to imagine that they would allow a member who they didn’t trust with a gun, either for physical or emotional reasons, to be apart of said militia (and therefore have their gun). Militia membership in many cases was specific. Every "able-bodied" man (many of them teenagers by today's standards) was expected to serve when needed. The legendary term "Minute Men" was coined because when an alarm sounded, the able bodied men were expected to arrive with their privately-owned weapons on the village green in a minute or less. What, then, is the solution to our problem today where millions of people have military level guns? Militias aren’t practical the way they used to be, however. However, that clause of the Constitution has always been the answer. If a person qualifies for reasonable legal militia service and, agrees under oath to be "well-regulated" by democratically elected authority, then their "well regulated" ownership of a legal weapon logistically compatible with the National Guard/U.S. Army will be "well regulated"; be that by license, permit...whatever regulation meets the spirit and intent of the complete, as written and not amended, 2nd Amendment. If a person is not willing to commit to "well-regulated" militia service, I read no constitutional guarantee of any right to keep and bear arms suitable for military use. This could be interpreted as allowing private ownership of sporting firearms. It's time our democratically elected officials at all levels researched the formation of "well-regulated" militias.